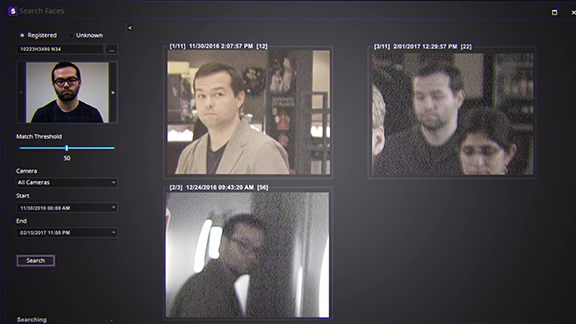 Add an additional layer of security to any video surveillance deployment with Face Recognition. Face Recognition is ideally suited for securing facilities that require a stronger layer of protection for access control as well as alarm and search functionality when paired with Senstar Symphony. Save time and resources with a robust search functionality that lets users look for registered and unknown people in video. You can also simultaneously search across multiple cameras, and filter search results by match score or date and time.